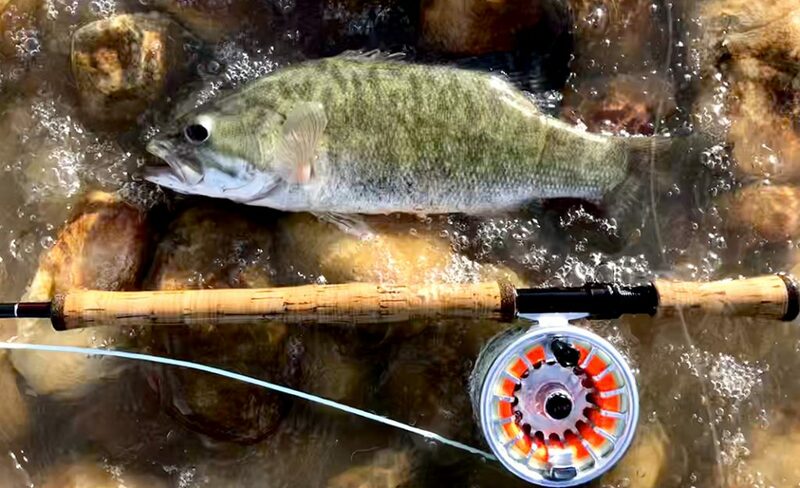 I remember the emotion of picking up a fly rod for the first time, pulling fly line off the reel and feeling the thickness and suppleness between my fingers. I was in awe and tried to figure how this foreign way of fishing worked as I knew nothing. 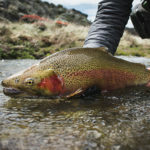 After catching the first fish and feeling the energy of the fish through the rod and line, fly fishing became a new journey with surges into different methods popping up every now and then. When I started fishing with bigger rods, 8-weights and up, with forays up the Zambezi, the Okavango and in the salt here in the Cape, shooting heads were a great way go. They were cost effective in that you could have one reel with a running line and just add a different shooting head to get to different depths. They were also made for different rod sizes and they were half the price of a full line. You could shoot a line out pretty far with a couple of false casts and the running line floated when using an intermediate or fast sinking shooting head, which was useful when fishing from the bank. They worked just fine but the joining knots and braided loops between the shooting head and running line was just annoying as it shot out through the guides while false casting and would stick on the way back in if you had a fish on. I then discovered Jim Teeny fly lines that were the first integrated fly lines with a smooth join between the shooting head and the “running line.” It was an idea that he took to Scientific Anglers 5 to 6 years prior and was rejected, so he made them himself. Teeny also made integrated sink tips that were very effective with a floating line and were the birth of the T Series fly lines. It was a revelation that has now become the norm from top fly line producers. Years later in the late 90’s I read a few articles about Skagit heads and Scandi heads when they were being developed in western USA and Scandinavia. Winter steelhead and salmon in big fast flowing rivers is what they were designed for and of course Scandinavian rivers. Rivers where a back cast was mostly not possible. My first impression was that it was cheating, extremely short heads connected to mono line sounded like casting an elongated sinker, so why not use a spinning real then? 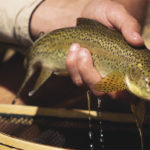 I was ignorant, the internet and easy access to cameras these days enlightened me to the growing stream of fly fishing videos on spey and switch casting. Steelheading is something I totally get and hope the opportunity comes up some day. I love watching videos about it, especially the casting. For ages Andre Van Wyk and I kept sending each other videos of great casters doing some unbelievably beautiful casts. We’ve looked into buying longer rods and trying it out on local waters, but somehow we always seem to forget about it or something else takes over. Then one day a rod came up for sale on a local 2nd hand fly tackle site. An 11 foot, two handed 7-weight, Stealth bomber, so I flicked the switch and bought it to finally try out switch casting and see if it’s something I would enjoy. The rod came with a Scientific Anglers Titan 450 grain line, great for over head double handed casting but that was not really what I wanted to do with it. So I stashed that away for my 9ft 12wt. The research started and the underlying truth was getting the right line set up. In North West America, a lot of steelheaders seamed to be using Olympic Peninsula Skagit Tactics Commando Heads, and a popular Scandi head was the Lee Wulff Ambush Triangle Taper. These were connected to a running line that came in different forms and monofilament was used to cast really far. This sounds like using a shooting head again, but it’s different from what I have become aware of. The heads are shorter – for a 7-weight the Skagit head floats and is really short at 15ft , but you add a 12ft or so Sink tip section and short leader. The Scandi line is 25 ft. but has a thinner end taper which floats and is used more for surface fishing. When the heads arrived and I opened the packet, I felt that same sensation I did when I first held a fly line as I held the Skagit head, thick as over-cooked spaghetti. The excitement was just the same and a new method for me was beginning again. 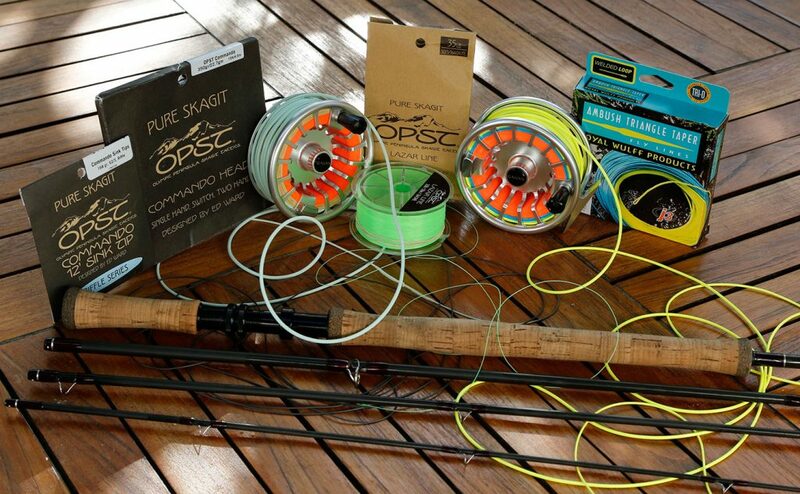 Many people see the advantage of casting far with switch rods. This is true, especially when using a monofilament running line. It’s super thin and supple and the head flies with ease through the air. In my limited knowledge this works great on big rivers when swinging streamers in the true sense is what you do. What I mean is that you cast across/down stream and the fly just swings without stripping and that’s when the fish take and you use the reel to fight the fish on the take, at the end of your swing you retrieve your line to cast again. For local waters I swing flies but stripping in line during the process is often when the take happens and with a big fish you’d struggle to hold the thin mono line to keep tension, so there are limitations and the thicker coated running line seems to be a better option for this style of swinging. I’ve often been asked where would I use a switch rod in South Africa and why? 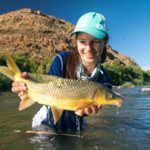 Swinging streamers for tigerfish, smallmouth bass and kob in moving water is a method of presenting a fly that I love on a 9ft rod. Lately swing streamers for our local yellow fish has drawn a good crowd too and I had a ball on the Richtersveld last year with this method. A 7wt switch rod would be perfect for these. But what I realized is that this switch casting wasn’t as delicate as it looks. 400-450 gains of line in 20-25 ft. it doesn’t land softly so you need big water. The running line and head also need quite a big reel so it feels like quite a big set up. I thought it would work nicely for fishing floating prawns at grunter, but the line landing with the heavy head sends the spooky fish scurrying. But there’s a place for them, when there’s plenty of water poring into an inlet of a big dam or of course bigger rivers like the Zambezi system, Orange and Lesotho or even an estuary. So far I have only really tried and had success with Smallmouth bass in fast, biggish water after good rain, it’s been a ball. My estuary attempt for kob was unsuccessful and I missed the yearly Richtersveld trip this year. So there’s loads of adventure coming up. The casting is another story, but every now and then you get it right and the D loop and anchor to the water is just right and the line flies out beautifully in one graceful sweep. There’s plenty of practice needed and I have a long, long way to go. The loop connections are smoother than with old shooting heads and the longer rod means you keep the head out of the guides. Completing another cycle and why I mentioned Jim Teeny earlier is that OPST Commando head and The Wolf Ambush lines now come with an integrated running line and the latter is flying in soon. Why? It’s going to be a fun so watch this space.